The Japanese Archipelago is very rich in both active and inactive volcanoes. There are 840 active volcanoes all around the world, and 10% of them is located in Japan. The country has 108 active volcanoes, this means that they had eruptions in the last 10,000 years. 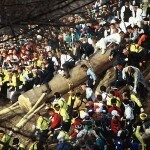 These eruptions usually cause great disasters, but by now, Japanese people are always ready for such a catastrophe. These volcanoes are not only dangerous, but they serve as touristic sights as well. The most well-known Japanese volcano is Mount Fuji, which is also the highest peak of the country. This article presents some of Japan’s popular volcanoes which are frequently visited by tourists. If you plan a trip to one of these volcanoes, please consider the warnings and restrictions of the period. It can be very dangerous to omit these information! Aso is one of the largest volcanoes of the planet and also one of the most visited volcanoes in Japan. 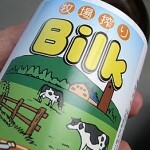 It is located on the island of Kyushu, in the Aso Kuju National Park. With a height of 5,200 ft (1590 m) and a caldera of 25 km North-South and 18 km East-West, it is a really huge and dangerous volcano. The central cone of the volcano consists of five peaks: Mount Neko, Taka, Naka, Eboshi and Kishima. Neko, the northernmost crater is the most active: its last eruption was in 2011. Due to the toxic gases of the volcano, this area is frequently closed to the visitors. 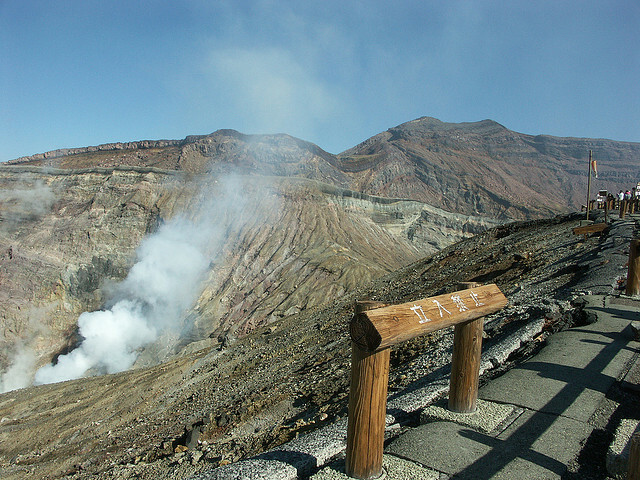 If you want to visit Mount Aso, it is advisable to check the periods of restrictions before going there. Sakurajima is a stratovolcano, located in Kyushu. Earlier, it was a separate island, but since the eruption of 1914, Sakurajima is connected to Osumi Peninsula. From the three peaks, Kita-dake, Naka-dake and Minami-dake only the latter one is still active. The volcano is 3,500 feet high, approximately 1,100 meters. 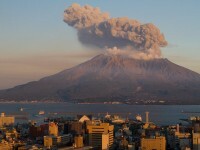 Sakurajima is a very active volcano, people living around the area have to be very watchful to omit the disasters. 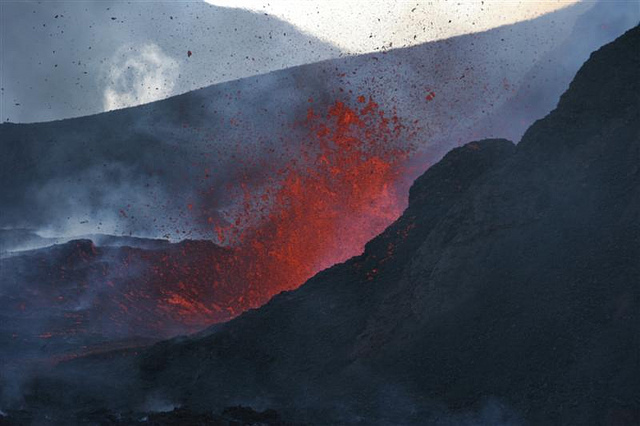 Smaller explosions and serious eruptions can be observed here every year. 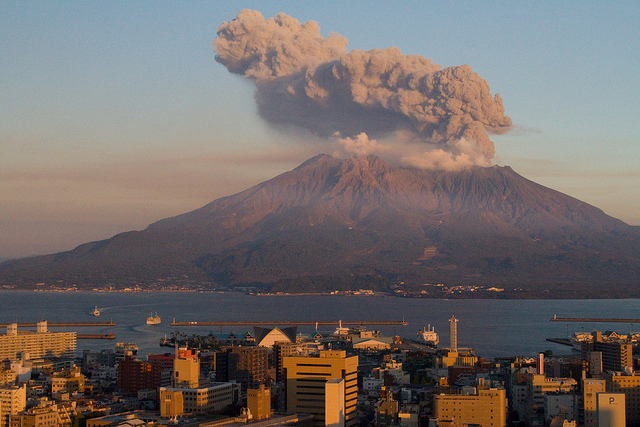 the last eruption of Sakurajima was in March 2013. It is a very high volcano, with more than 7,000 ft (2100 meters). Located on the island of Honshu, it consists of several pyroclastic cones. Kusatsa-Shirane is located for its crater lakes: the most popular is Yu-gama, with a very amazing color which is close to turquoise. 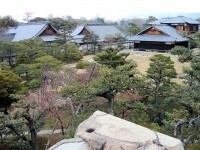 Excellent onsen are located in this area as well. It is a very good place for hiking, especially between April and early November. A trip around Kusatsa-Shirane has amazing sights: several peaks, lakes, craters and even waterfalls are located here. The last eruption was in 1983, so you don’t have to check the volcanic restrictions as attentively as in the previous cases.